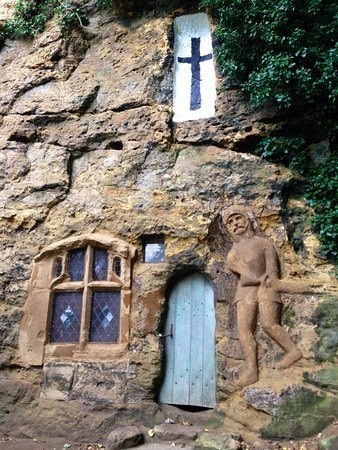 The tiny medieval Chapel of Our Lady of the Crag lies a stone's throw from the River Nidd, about half a mile from the centre of Knaresborough, North Yorkshire. It was carved from the cliff face by John the Mason in 1408, permission being granted by King Henry IV. The Chapel was probably built as a wayside shrine for pilgrims walking between the town and the Priory, and possibly going further afield. It would also have been a place of quiet and prayer for the quarrymen working in the quarry nearby. The Chapel lost its religious status at the Reformation but yet it has remained a popular site for visitors and pilgrims. The details of what the chapel contained in its early years are not known, nor what happened to the original statue of Madonna and Child, if there was one. 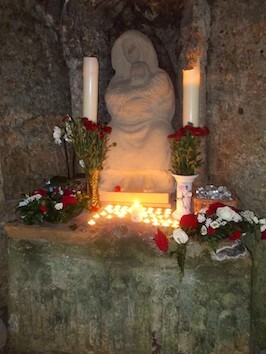 The Chapel became a shrine again in 1916. The existing statue, which replaced one dating from 1919, was carved in Halifax in the year 2000 by sculptor Ian Judd from half a ton of Derbyshire gritstone, funded by a millennium grant from the Arts and Sacred Places organisation. 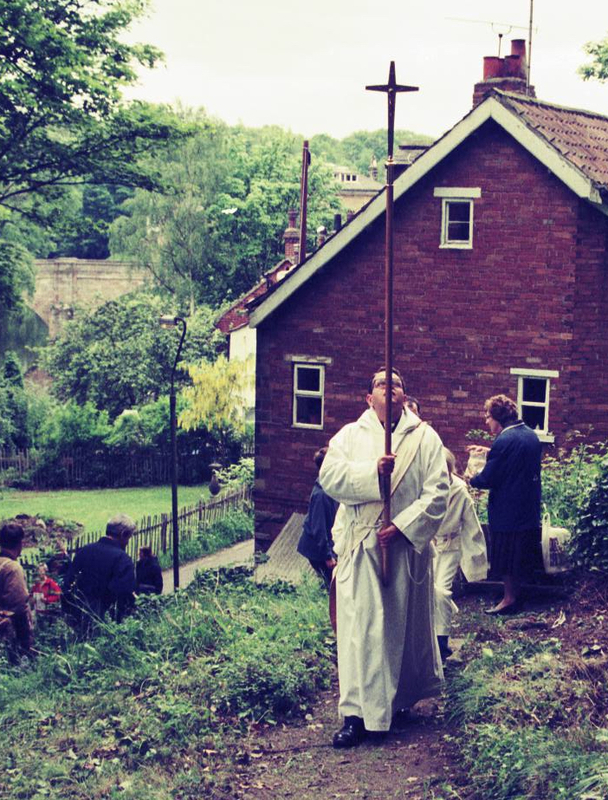 Today the Chapel continues to be a place of pilgrimage and worship, as well as a place of gentle strength, peace and spiritual refreshment for visitors of all faiths and none. It retains its identity as a Marian shrine and is owned and maintained by a charitable trust, 'The Chapel of Our Lady of the Crag Trust', charity no 1171904.